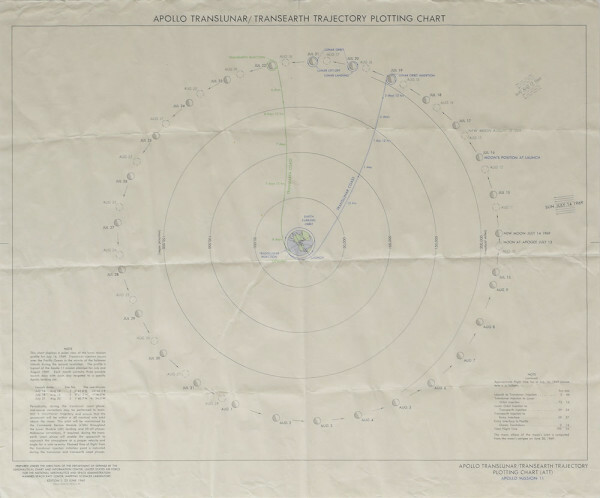 Colour first edition of the Apollo 11 Translunar/Transearth Trajectory Plotting Chart dated June 23 1969. Lithographed by ACIC 6-69, and prepared under the direction of the Department of Defense by the Aeronautical Chart and Information Center. The chart shows the Earth in the centre, with a view above the North Pole. The path of the Moon’s orbit during July and August 1969 is illustrated around the Earth. Concentric circles are plotted every 50,000 nautical miles from the Earth, showing the distance between Earth and the Moon. The Apollo 11 flight plan is plotted on the chart. The blue line shows the translunar trajectory which is the outward journey from Earth to the Moon. The green line shows the transearth trajectory which is the return journey. 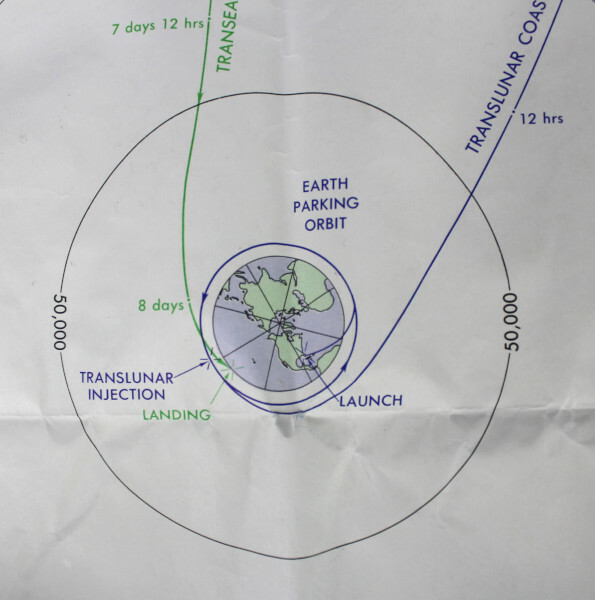 The stages the mission are labelled, including launch, earth parking orbit, translunar coast, lunar orbit insertion, lunar landing and lift-off, transearth injection, transearth coast and landing. The timings of the mission are also marked along the flight path. 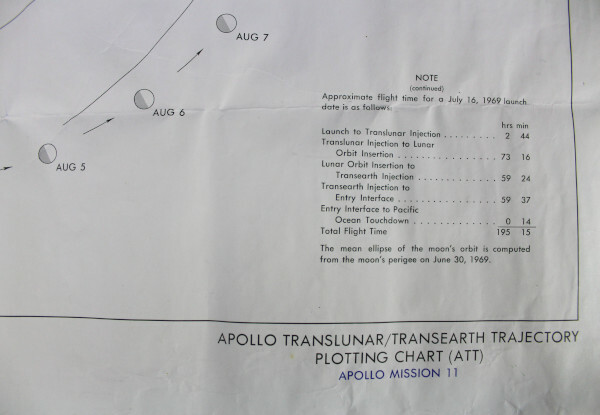 The note on the left of the chart explains that the lunar mission profile illustrated is for launch on 16 July 1969. 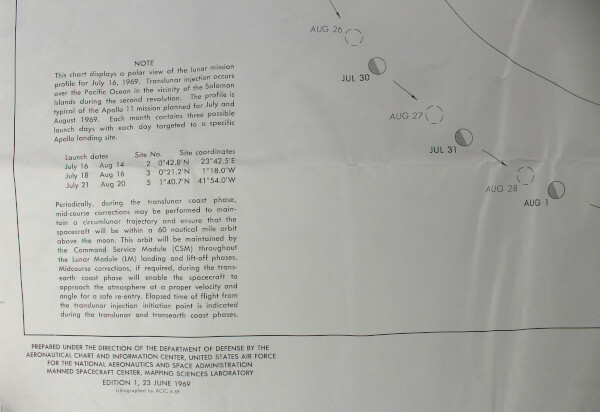 This was the actual launch date of Apollo 11, but the note explains that this was one on of six possible launch dates throughout July and August 1969. Each launch targeted a specific landing site. The note on the right gives the approximate flight times for the key phases of the mission, which amount to a total flight time of 195 hours 15 minutes.